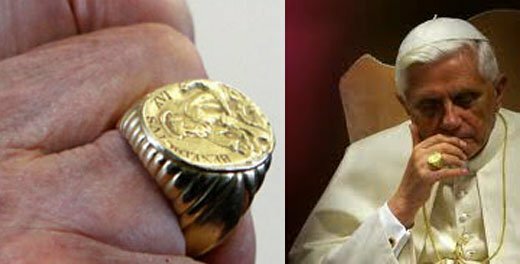 Yahushua Vs. Pope Francis: Who will you believe? Home Biblical Christian Articles End-time Prophecy Yahushua Vs. Pope Francis: Who will you believe? Pope Francis claims to be the infallible representative of Yahushua. A careful examination of his statements, compared with Scripture, reveals a character, a lifestyle, and a theology that is the very antithesis of the Saviour. A TED Talk? Seriously? Popes don’t give TED Talks! And yet that is precisely what Pope Francis did in April of 2017. The speech, apparently recorded in his apartment in Vatican City, was a good one, albeit rather typical of a geo-religio-political figure. It was a call to work together, to build a future inclusive of all. Immediately, people who watch the pope began speculating: Was there a hidden message in the pope’s speech? Most people are not “powerful.” Was he sending a message to the Illuminati? To the elite of the world? Why was he admonishing them to act humbly? Yahushua’s message was always to be holy, not just act holy. It is sheer hypocrisy to merely act a certain way, rather than be that way. 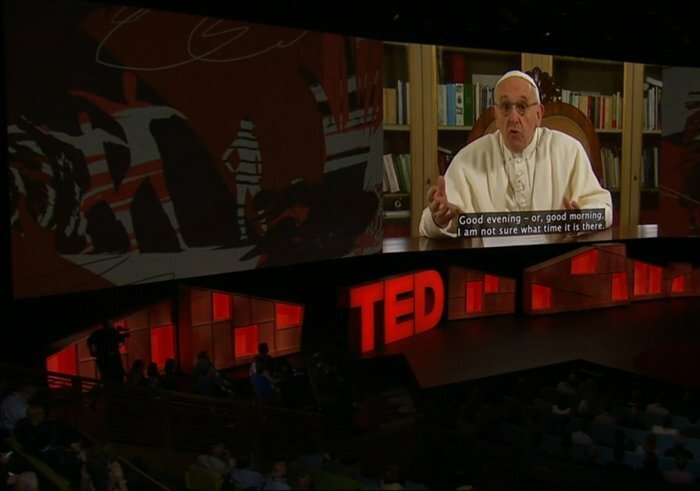 Whether the pontiff was sending a hidden message in his TED talk or not is, of course, impossible to determine. However, it is always wise to carefully analyze anything said by such an influential person, particularly if that person presumes to represent the Saviour. The thing all should remember is that the pope has a global* agenda. In a very real sense, he is a "globalist." His agenda, hidden from the world’s masses, is to promote himself as a world religious leader. This paves the way so when the trumpets begin to sound and demons, in the form of aliens, overrun the earth, he will be the only logical choice to be mankind’s representative in negotiations with the demons/aliens. "Globalism" also furthers the Holy See’s agenda of promoting Roman Catholicism above all other religions, because "globalism" does not allow for individuality. "Globalism" is the opposite of nationalism. Nationalism is the belief that individual, sovereign nations benefit from acting independently, rather than in corroboration with other countries. Nationalism is no longer politically correct. Instead, "globalism" is the agenda of the day. It is true that modern technology has made the world a much smaller place. However, "globalism" is not the answer. "Globalism" brings pressure to bear upon the individual to conform. Those who, for whatever reason, refuse to conform, will either be forced to do so, or be slated for annihilation. Today, over 25 year later, it is possible to see in reality what Martin could then only prophesy. Knowing, then, the pope’s long-term goal for worldwide dominance, it is extremely important to understand his beliefs and theology. This article will compare Pope Francis (his statements, lifestyle and beliefs) with those of Yahushua. This acknowledgment that the Saviour’s kingdom was not an earthly one, is the very opposite of the papacy’s drive to dominate on earth. But it’s not the only difference. Consider the following quotes by both the pope and Yahushua. Yahushua knew His earthly ministry would climax at Calvary. Furthermore, He knew the Father would raise Him again the third day. This was not a statement of discouragement or failure! Rather, it was one of victory, because He knew He had faithfully fulfilled all that His Father had sent Him to do! The theories of evolution and the Big Bang are real and God is not a magician with a magic wand. When we read about Creation in Genesis, we run the risk of imagining God was a magician, with a magic wand able to do everything. But that is not so. Barely a year later in a sermon preached in Christ the Redeemer Square in Bolivia, Pope Francis expounded on this same theme, suggesting that the miracle was one of changing people’s hearts to share what they already had in their possession. Say what? A Catholic woman who has always been told she shouldn’t use artificial birth control, is tempting Yahuwah when she has so many children? Tempting Him to do what? To kill some of her babies? To kill her in childbirth? This is sick! It may seem quibbling to fault Pope Francis for these statements, but politicians—and make no mistake: that is precisely what he is—are well versed in public speaking. They are very aware that statements they make publically carry weight. 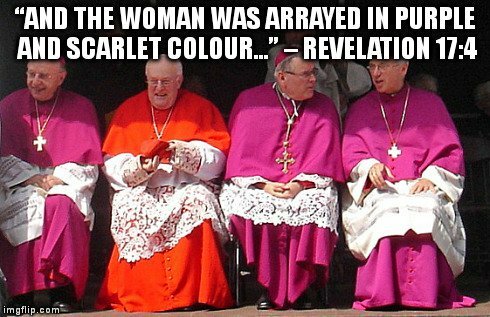 And, remember, the pope claims to be the vicar of Christ! There is no do-it-yourself in the church; no freelancers. . . . Sometimes you may hear someone say, ‘I believe in God, in Jesus, but the church, I don’t care.’ How many times have we heard this? This is wrong. Another exchange combined a suggestion of violence with an outright admission of dishonesty. One of the most startling of the pope’s statements was made on May 12, 2014, in a homily on acceptance. 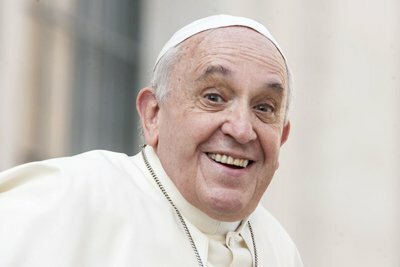 Recalling Peter’s acceptance of gentile believers and how shocking that was to the believers of that generation, Pope Francis said that he would baptize aliens. It is the height of presumption to presume to change what the Almighty Creator has said, and yet that is precisely what Pope Francis has done. Repeatedly. There is massive confusion in the Church about where exactly the Pope stands on the matter. Even though a thorough assessment clearly shows the Pope backing communion for divorced and remarried Catholics, there are cardinals and bishops who suggest the Pope means the opposite. With all of this confusion, with all of the contradictions, it is necessary to look at what Jesuits believe in order to find out what the pope really believes. Remember, Pope Francis is the very first Jesuit pope in history. Jesuit policy has always been to work in secret, behind the scenes. Jesuits are responsible for some of the most heinous acts in history. It is beyond the scope of this article to list every error in their theology. Suffice it to say, there are two points in particular that are especially blasphemous that Jesuits (and Catholics in general) teach. Francis, as both Jesuit and a Catholic pope, believes and supports these doctrines as well. This directly contradicts the words of Yahushua, who said: “I am the way, the truth, and the life: no man cometh unto the Father, but by me.” (John 14:6, KJV) Pope Francis has also said: “Being a Christian means belonging to the church.”19 Yahushua declared: “Come unto me, all ye that labour and are heavy laden, and I will give you rest.” (Matthew 11:28, KJV) He did not say: “Come to the church and ye shall find rest for your souls.” And He could have. There was an established church in His day. The statements of Pope Francis that contradict the words of Yahushua go on, and on, and on. This, then, begs the question: What are the fruits of Pope Francis’s life? Within just a few weeks of being elected as pope, the pontiff visited a prison in which he washed—and kissed—the feet of convicted criminals, several of whom were Muslim. Sounds very . . . Christlike. Right? Strange, though, that the number of individuals for whom he performed this service numbered 12 (the exact same number of disciples Yahushua had), and there just happened to be photographers ready and waiting to make a photographic record of the pope’s act of self-negating piety. 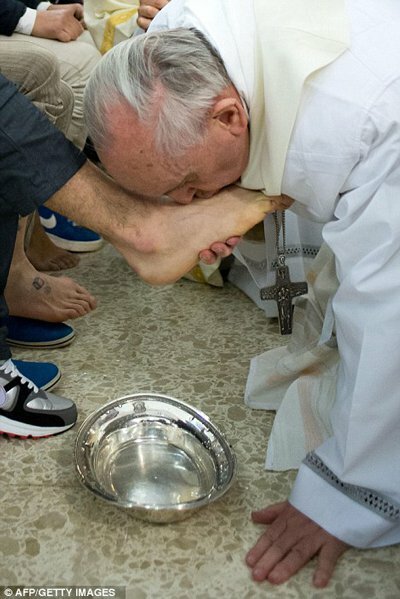 The Catholic Church does not, as a rule, practice the ordinance of foot washing. For the pope to do so in such a public manner, photos of which made all the news wire services, smacks more of an ostentatious display than any genuine desire to minister to others. On Wednesday, May 24, 2017, the U.S. President and First Lady, Donald and Melania Trump, met with Pope Francis. In one of the lighter moments of his meeting with the US president at the Vatican on Wednesday, Francis made an apparent allusion to Trump's imposing physical size. The portly pope’s joke aside, his own self-indulgent diet is in stark contrast to the self-control exercised by the Saviour. 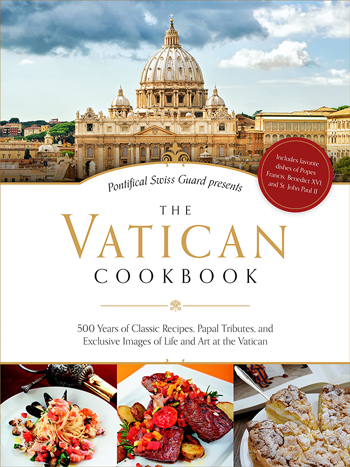 The Vatican Cookbook, released in 2016, “reveals that the Buenos Aires-born pontiff’s favourite foods include Argentinian empanadas, sirloin steak and dulce de leche,”22 a very rich, creamy, caramel sauce made from sweetened, reduced milk. Shortly thereafter during a papal visit to Naples, pizzeria owner, Enzo Cacialli, who had heard of the pope’s lament, hand delivered a specially made pizza to Pope Francis. The pope’s love of fine food is well known among his followers and is in striking contrast to the self-control exhibited by Yahushua. In other areas as well, Pope Francis may appear humble to outsiders. 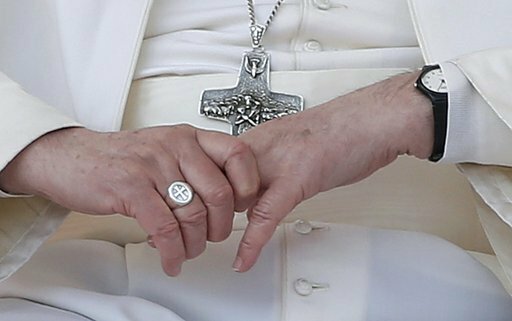 He made the unusual choice to wear a gold-plated silver Fisherman’s ring, rather than solid gold, when he became pope. 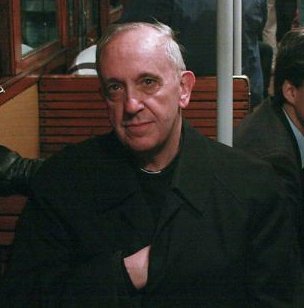 Nevertheless, his robes are made of the finest wool, custom made by Gammarelli, tailor to popes since the eighteenth century. Perfection in Yahushua is a state of being, not an action verb. The danger with the soft-spoken, gentle Francis is even greater because it is unrecognized. As a wolf in sheep’s clothing, he has charmed and disarmed multitudes from all faiths. It thus behooves every faithful believer to carefully compare his words with those of the Saviour’s, because the words spoken always reveal what is in the heart. Ask yourself: What do the words of Pope Francis reveal about his heart, his beliefs . . . his hidden agenda? * The Earth is not a Globe. The terms "globalism" and "globalist" have, however, been utilized for the purposes of this article. 1 M. Martin, The Keys of this Blood, pp. 291-292. 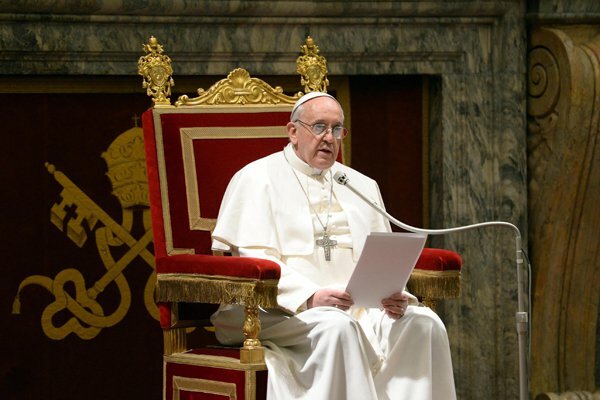 6 https://w2.vatican.va/content/francesco/en/homilies/2015/documents/papa-francesco_20150709_bolivia-omelia-santa-cruz.html, italics in original; bold supplied. 9 See 2:25 to 4:16 at https://www.youtube.com/watch?v=uzOknuZ1d5w. 14 Alexander Hislop, The Light of Prophecy Let In On the Dark Places of the Papacy, p. 91, emphasis supplied. 17 Click here for images of these documents. 19 See 4:10-4:11 of https://www.youtube.com/watch?v=uzOknuZ1d5w. 26 Eric Jon Phelps, Vatican Assassins, p. 54, emphasis supplied.